​Tottenham manager Mauricio Pochettino reveled in a 'special night' as his Spurs side started life in their new Tottenham Hotspur Stadium with a 2-0 win against Crystal Palace on Wednesday. The historic night began with an opening ceremony that featured a firework display along with an opera singer, in what was a new chapter in the club's future. After a first half in which ​Spurs dominated, the result going into half time remained goalless, as the home side failed to convert their superior possession into meaningful opportunities. However, second half strikes from ​Son Heung-min and ​Christian Eriksen sealed the victory, with Pochettino insisting that his side's victory was thoroughly deserved. 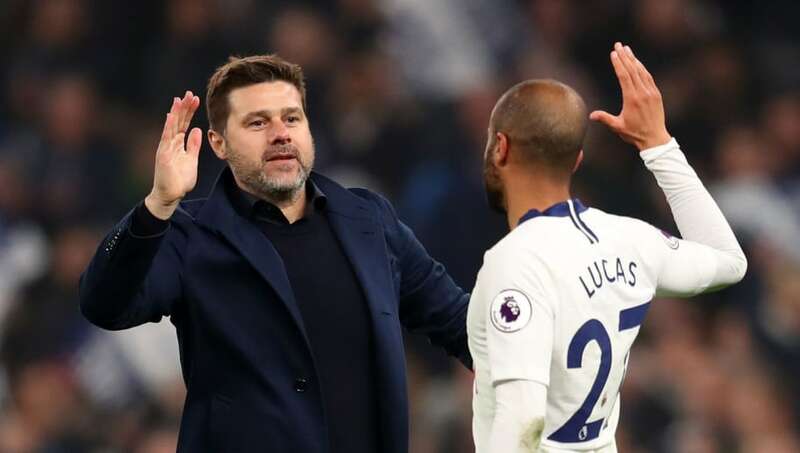 “We did well in the second half at Liverpool (2-1 defeat on Sunday) and didn’t have too much time (between games), so our intention was to keep that good feeling and to have continuity in the team with a similar shape," Pochettino said, as quoted by Tottenham's official website. “We completely dominated the game and fully deserved the victory. I’m so happy for the players and for our fans. The momentous occasion always meant Tottenham would be desperate to win, however, such desires were heightened due to the fact the club were currently on their worst ​Premier League win in five years under their current boss - without a win in five matches. Regardless of the occasion, points were required as the club look to bring ​Champions League football back to their new stadium in their first full season at the ground next year with a top four finish. But Pochettino couldn't help but bask in the glory of a truly historic moment for the club, lavishing chairman Daniel Levy with praise for helping to deliver an "amazing project". He added: "It's a special moment, a special night. I feel and believe it is the best stadium in the world. "It was an amazing performance, congratulations to everyone. I’m so proud, so happy and I want to say thank you to Daniel (Levy) for creating this amazing project - he can feel so proud and it was an amazing day with a lot of emotion. “We are home. It’s difficult to describe with words how we feel, very emotional. It’s a massive thing for the Tottenham family. "We can only say thank you to have the possibility the share this moment in the history of this amazing club. It's going to be remembered for all my life, one of the best days in our lives."